Always go with #1. Radio is the #1 reach medium in America, more than TV. iHeart Media is the #1 media company in the US. Reaching over a quarter BILLION consumers by Radio, Digital, Mobile, Outdoor, Social and Events every month. The Power of Sound…..sending a message to thousands of people at a time. Access your supporters through KFAB/KXKT/KGOR/KISO/KFFF/KISO-HD2/KFFF-HD2/Radio/Digital/Outdoor/Mobile/Social/Events. Offices in LINCOLN and OMAHA! KidGlov is a full-service marketing agency that advances brands by making national caliber strategy and brilliant creative accessible to local organizations, like yours. We have the knack for helping nonprofits advance their brands so they can boost fundraising efforts, amplify awareness and inspire a positive culture. KidGlov is ready to give you a hand with your brand strategy, campaigns, public relations, print, web and social. Juicebox Interactive is celebrating the opening of our new Omaha office by offering a hand to non-profits in the area (incl. Council Bluffs). Get 25% off any marketing and web design services when you start your project with us between now and December 31st, 2018. Little Mountain Web Design believes nonprofits, like yours, are a critical part of the economy. You have something important and unique to offer; one place to showcase your offerings is the Internet. Little Mountain Web Design helps your organization compete and thrive online. We can meet your online marketing needs, including web design, website maintenance and website renovation, search engine optimization, Internet advertising, social media, and branding and identity. Websites are a necessary component of any marketing strategy, building and reinforcing your brand while offering your organization stability, credibility and a distinctive marketplace presence. As the Founder and Senior Writer of dotted i, Natalie Simmonds conducts the full range of activities required to prepare, submit, and manage all aspects of grant proposals, funder requirements, and grant reports for a variety of nonprofit causes and organizations. But it doesn't stop there. Press releases, general copywriting, social justice blogging all fall under our purview. Lukas Partners, based in Omaha, Neb., helps clients effectively communicate and connect with people important to them. With the right message to the right people at the right time, our clients' audiences become advocates, giving third-party credibility to these organizations. As a leading Midlands' PR firm since 1973, our award-winning PR and fund development experts will partner with you to get results. We are a Video Marketing company. 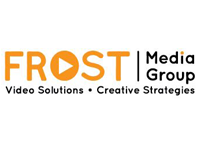 We help executive directors, entrepreneurs and marketing directors maximize their return on investment by integrating video into their event and marketing budgets. We are not an agency. We source with experts at the top of their fields to meet the client’s needs. These include the areas of: FINANCE, INVESTMENTS, MARKETING, COMMUNICATIONS & PUBLIC RELATIONS, HUMAN RESOURCES AND PROGRAMMING, SALES AND WORKFORCE DEVELOPMENT, TRANSITIONAL LEADERSHIP. Backed by a dedicated team of multi-discipline professionals with broad experience in many industries, Duryea Strategic Marketing offers a full range of measurable solutions in any channel. From the old standby of print media to the latest in cutting edge social media applications, we will identify the channel that works best for your needs and develop a strategy that brings the results you’re looking for. LEVEL 1 BUSINESS PARTNER - No matter what the size of your nonprofit, purchsing the most up-to-date software, hiring a dedicated staff to manage it, getting help when you need it, and having the right people monitor your system to prevent cyber-crime can be a huge headache. It's easy to get overwhelmed. P&L Technology has created a user-defined IT services on their managed network that can solve the vast majority of your IT problems. C2NONPROFIT is a cloud 2.0-based system that allows seamless integration of your data, as well as providing world-class protection. P&L can handle equipment upgrades as well. Combine this with their legendary customer service and your IT worries are gone. LEVEL 1 BUSINESS PARTNER - InfiNet Solutions provides Managed IT and telephony services to small and medium organizations. Our team focuses on our commitment to our client’s success. InfiNet is laser focused on managing IT so that our clients can grow and concentrate on achieving the organization goals they set. We are technology people – with a key focus on the word people. We form relationships with our clients, and see them on a regular basis. Whatever success looks like for you – we want to be there to proactively support all of your information technology and telephony needs. GiNOSKO.CO brings to bear first-class design, content development and an industry-leading learning platform to build robust learning communities of action for increased engagement, retention, satisfaction, and value of its clients. Today’s adult learner has changed. New methods of content delivery both in form and technology are required to connect learner - facilitator - content. We develop a learning strategy and design microlearning to onboard volunteers and staff for your sustained growth. Contact GiNOSKO.CO today at 1-833-GINOSKO (446-6756) or info@ginosko.co for more information.